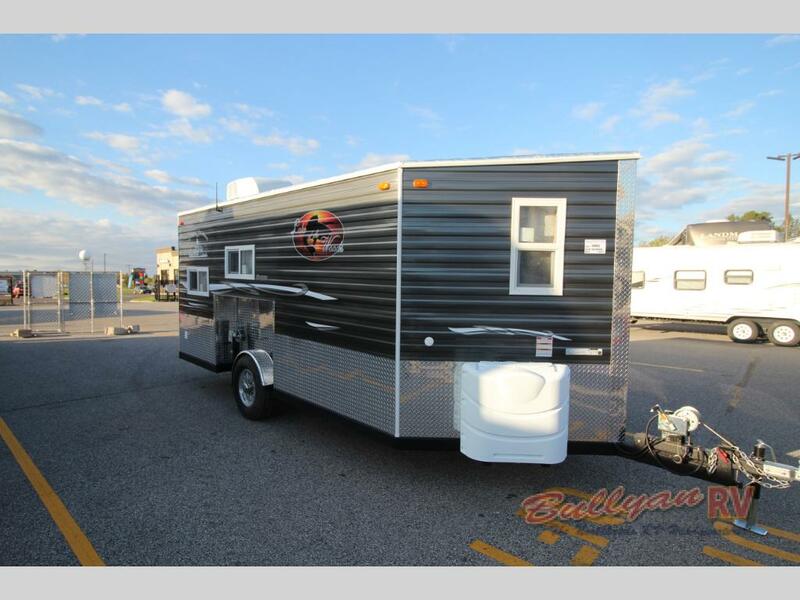 Right now is the perfect time to get an amazing deal on an Ice Castle Fish House Trailer. Even though the winter is on its way out, there are still plenty of uses for these versatile outdoor enthusiasts home away from home. 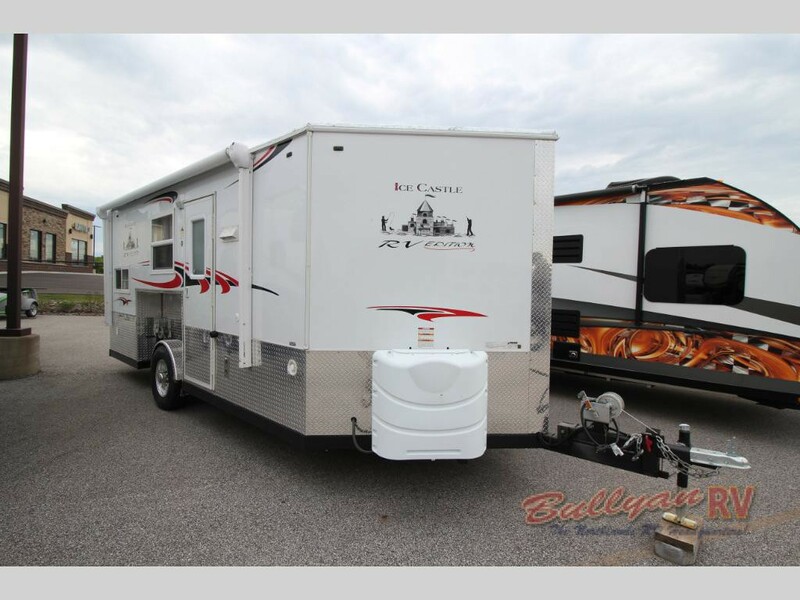 These Ice Castle Trailers are road licensed and feature deluxe double pulley suspension with retractable wheels which can be used year round. 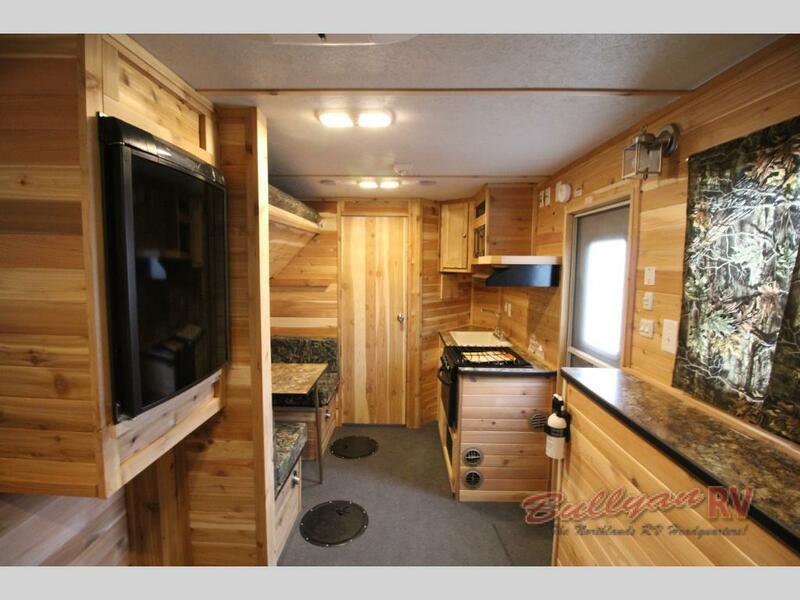 Uses include a convenient hunting shack in the fall or use as a trailer for hauling snowmobiles, four wheelers, motorcycles and other toys in the winter, spring and summer months. Ice Castle Fish Houses Manufacturing is based in Minnesota and has been around since 1993. They are the largest manufacturer of premium Portable Ice Fish Houses in the state. Their quality material, well thought out designs and value driven price tag make them very popular among outdoor sport enthusiasts. Lengths range from 16 to 24 feet and come in a variety of layouts depending on your size and sleeping needs. 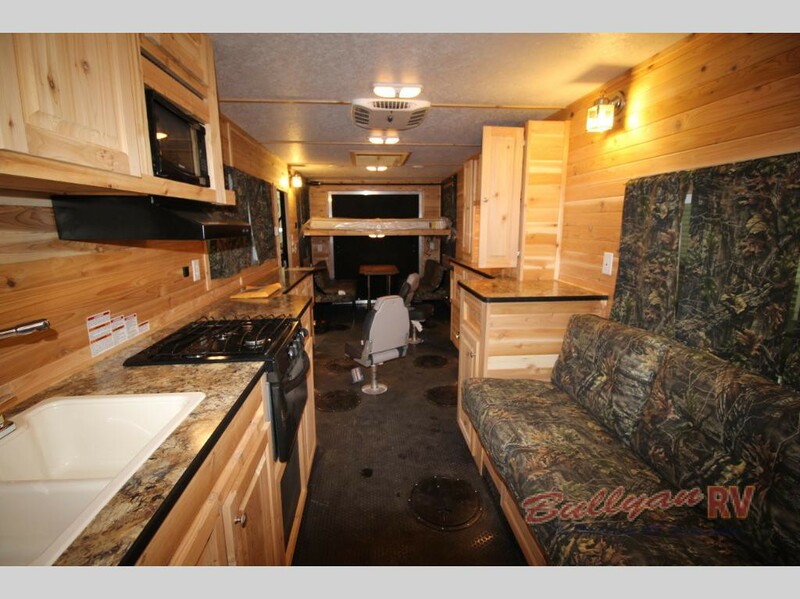 The rugged, rustic interiors are perfect for hunt/fish lodge use and other year round outdoor activities. Just because you’re spending time in the backwoods, doesn’t mean you have you have to sacrifice modern conveniences. The Ice Castle Fish House also comes with a kitchen, bathroom, and outside awning. 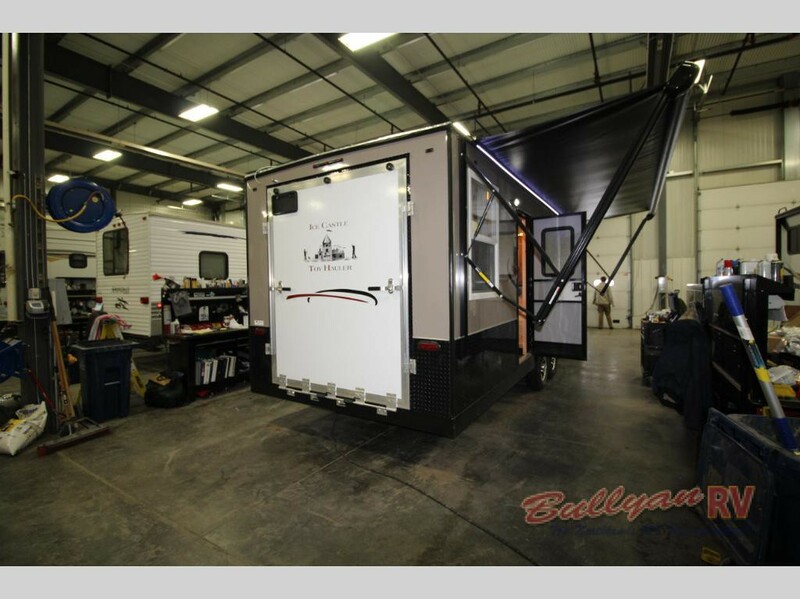 They also are equipped with a roof top A/C unit, so you can stay cool during warm summer months. 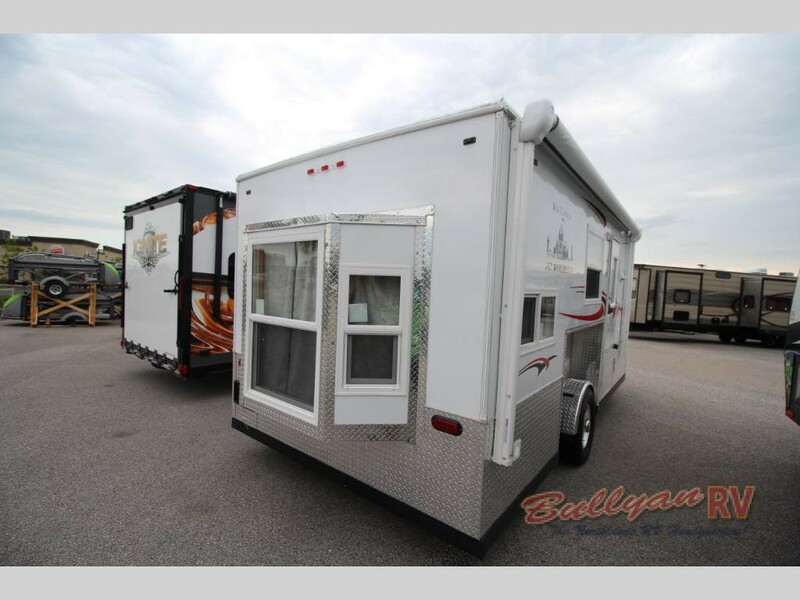 The Ice Castle Fish House Trailers come in a wide variety of colors from charcoal, light grey, white, red and more. Many have a spacious bay window that lets in extra natural lighting. There is even an Ice Castle Toy Hauler model available. The rear ramp folds down for easy loading of your summer and winter toys making this the ideal year round RV. To tour our full line of Ice Castle Fish Houses, Contact Us at Bullyan RV or visit us at Our Location.